The way to my heart is paved with cheese. So happy for this brief history of cheese find. I have a Monstera plant that is growing a bit unruly. So I went to YouTube for help and found the above video! I love the internet so much! If my kids were still little, I would support this Kickstarter and buy a set of Tooder flashcards. The interactive iPad part makes it fun and parent-indepdenent. Winner! How one little word makes all the difference in unlocking honest feedback. I need to remember and apply this. We too often imagine that ‘good conversations’ are things we fall into out of luck. According to the School of Life it’s far from it, knowing how to have a good conversation is a skill that can be learnt – and here are the beginning of the rules. 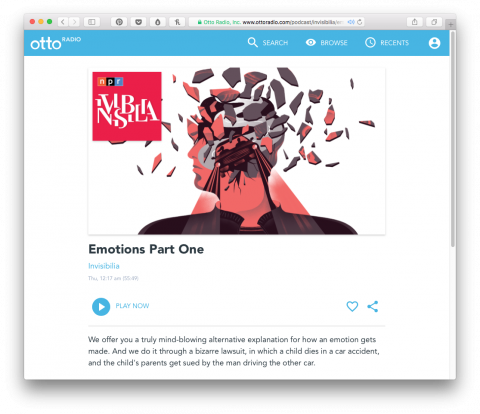 Yesterday I posted on Instagram about the book “How Emotions Are Made” and multiple commenters said I should listen to this episode of Invisibilia. They were right. So good. How We Need to Keep Growing Up, by The School of Life. The fine folks over at Tinybop have been busy and launched a new app, called Mammals. The app comes with a free handbook to play and learn with your kids. It entails interactivity tips, fun facts and questions you can ask the kids. Robert teaches you sign language trhough animated GIFs. Love this! Ready to conquer The New York Times Crossword? 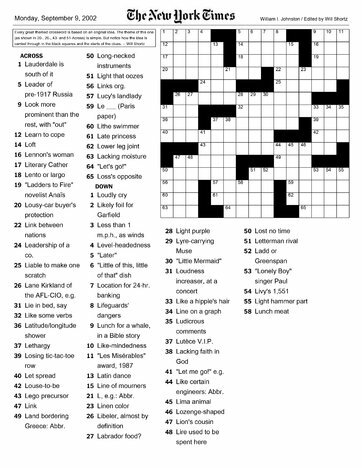 Here’s a sampling of 11 — hand-picked by Will Shortz — to get you started. Need to draw a circle but you don’t have a compass? This video will help! John Collins demonstrates how to fold his design for a long distance paper airplane for the Harvard Graduate School of Design. Fascinating Japanese Gift Wrapping Hack that doesn’t require tape or ribbon. Now, this was useful. But I doubt it will work with a thick down comforter like I have. I’ll give the burrito method a try though! This video, with interesting facts about every country in the world, is *so* great! My daughter has recently discovered the joy of cooking. 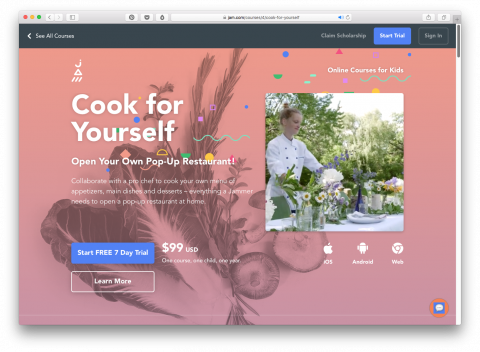 So I am going to gift her the cook for yourself course by JAM for Christmas. 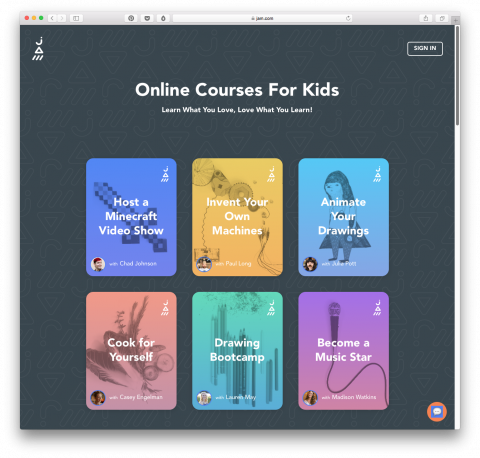 JAM offers a variety of online courses for kids. So great! Fascinating video explaining why all world maps are wrong. I will give this Summer Rolls recipe a try with my kids. Looks so good, and most of all, fun to make. Speaking on the global theme of Freedom, David Kelley took the stage at CreativeMornings/New York in May 2014 to speak on the design revolution. Designers now have the respect and freedom to make a difference. Championing for design to be more inclusive in its meaning, David looks to give everyone confidence in their ability to be creative. Now that everyone has the power of creativity, what will you do with it? You can see all of the CreativeMornings Podcasts here. And you can see all talks from around the world on the topic of Freedom here. I have always used flashcards to memorize things. 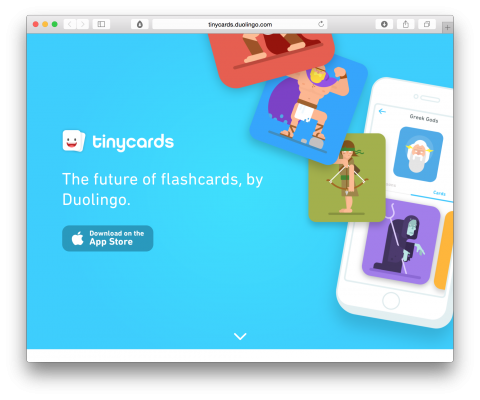 Duolingo uses the concept of flashcards to turn learning into a game where you have fun unlocking new levels. Tiny cards looks superfun. Totally downloading the app.